There are a tonne of foundations to choose from these days and it’s one of the most confusing and money wasting things to perfect or your lifestyle and skin. It has taken me years to find foundations that suit what I’m going to use them for, especially as I have sensitive combination skin. 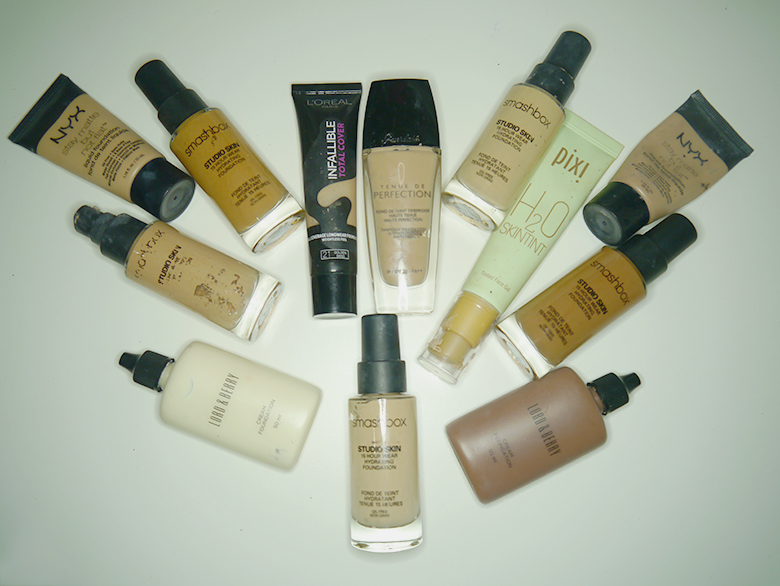 I used to blog about finding my perfect every day foundation, which thankfully I found and still love, however this is a complete list of my Ride or Die foundations and what occasions I use them for. 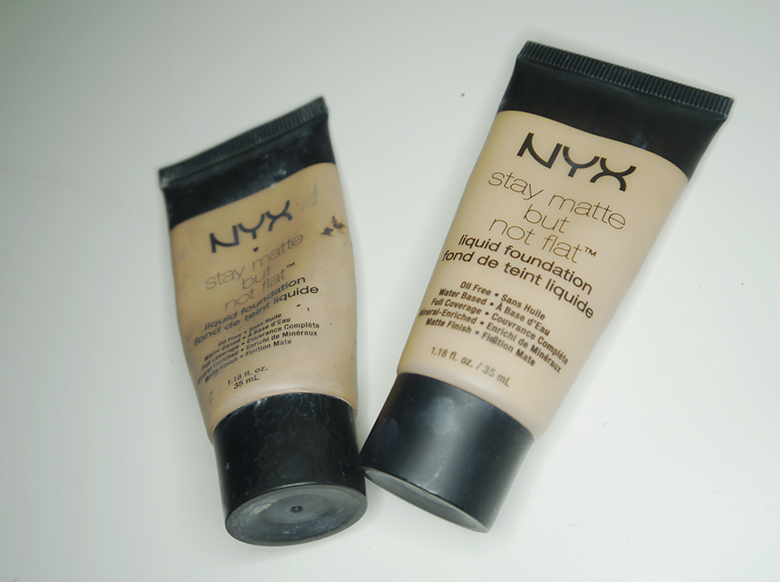 Foundation name: NYX Stay Matte Not Flat. When will I wear it: Day to day, for running errands, when my skin needs a little more coverage that’s not 100% full. Depending on my skin tone that day, I’ll use either the Soft Beige for a more yellow tone, or Warm which is more of a neutral leaning towards pink tone. I was hesitant on trying it because I have really sensitive and spot prone skin, but bought it to try when I used to be a NYX makeup artist and I must say I was pleasantly surprised. For the price, it’s a very good foundation. It’s long lasting, doesn’t look cakey, and doesn’t go too matte. The shades on offer range from very pale to ebony and are buildable to a full coverage. When applied it blends into your texture without leaving a powdery finish, and dried to a demi-matte finish with plenty of time to blend other cream products into it. I do find you need a powder to set to become the level of matte I like but is fine to wear on it’s own. As it wears through the day it doesn’t wear off too much but like most lower end foundations it does have a tendency to transfer however that’s not really something to complain about for £6, just try avoiding having a hugging session so half your face won’t be left on the recipients shoulder. It’s not suitable for dry skin as it can dry a little more matte on flaky skin, but for oily normal and combination skin it’s great. I do find that if I wear it for a week straight my skin doesn’t take to it as well as day 1, for example, after 3 or so hours it will wipe off my nose, or in my oily places it doesn’t set as well, but like any other foundation and skin product your skin does get used to things. 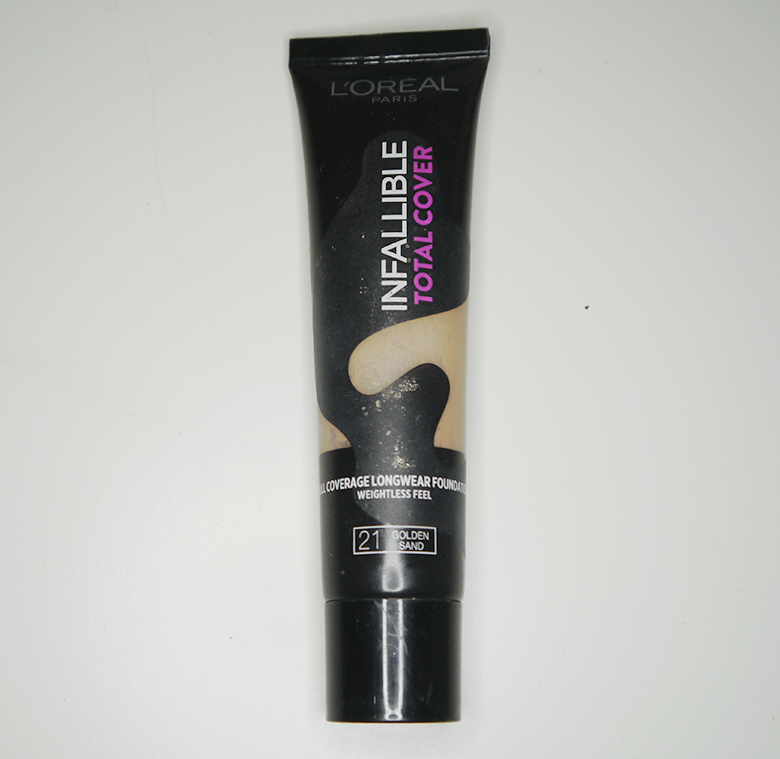 Foundation name: L’Oreal Paris Infallible Total Cover Foundation . Shade used: 21 Golden Sand. This foundation is great for when you need to be quick with your foundation, it layers well and there is minimal need for colour correction and concealer which makes it quick and easy to apply. This isn’t a foundation you can apply in just certain areas as it is noticable in areas that you apply it in but it’s great for a made up flawless look. It doesn’t transfer easy which is an added bonus and doesn’t look cakey no matter how much you put on. It does require a lot of blending around the jaw to look seamless as it does dry completely matte, which is again an added bonus to speeding up the time to get ready, and because it doesn’t need concealer products to bump up the coverage it’s great for those days when you don’t want to pile on layers and give your skin a little bit of a rest but still wear the coverage you need. I find it does shift around my nose when I wear my glasses but there is absolutely nothing I can do about that. With my oily areas it stays perfectly in the areas it needs to stay. It’s a good all rounder foundation, for normal, oily, or combination skin. I don’t know anyone who has dry skin who has tried it, but I would suggest trying Infallible 24HR Matte Foundation instead as I found it was a little more on the demi matte / dewy side. When will I wear it: day to day, when my skin feels dry, when I want a more natural look but with cover and even tone. 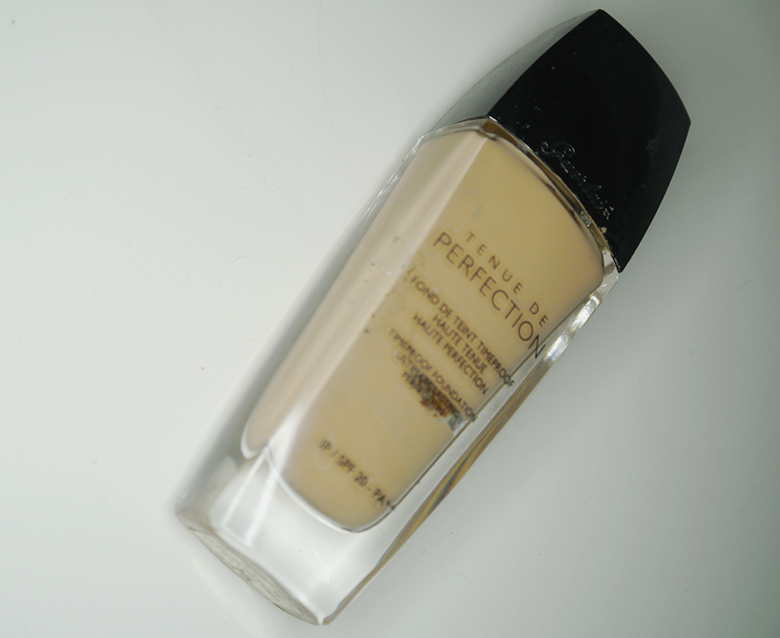 This was reviewed a couple of years ago on my search for the perfect day foundation. You can get a great sheer coverage or two thin layers give you a natural looking medium coverage. This is a gel to water foundation, meaning it’s great for all skin types. Again it does get used to your skin and depends on how your skin is on the day you wear, but if you’re looking for a foundation that evens out tone and you want to move away from heavier foundations, this is your pal. It’s good for people who also want to just use foundation in select areas. As it’s a gel to water, it sits and melts into your skin and becomes untraceable. With a semi matte finish you can customise its finish with products on top such as illuminators or liquid mixers, or put hydrating primers underneath. 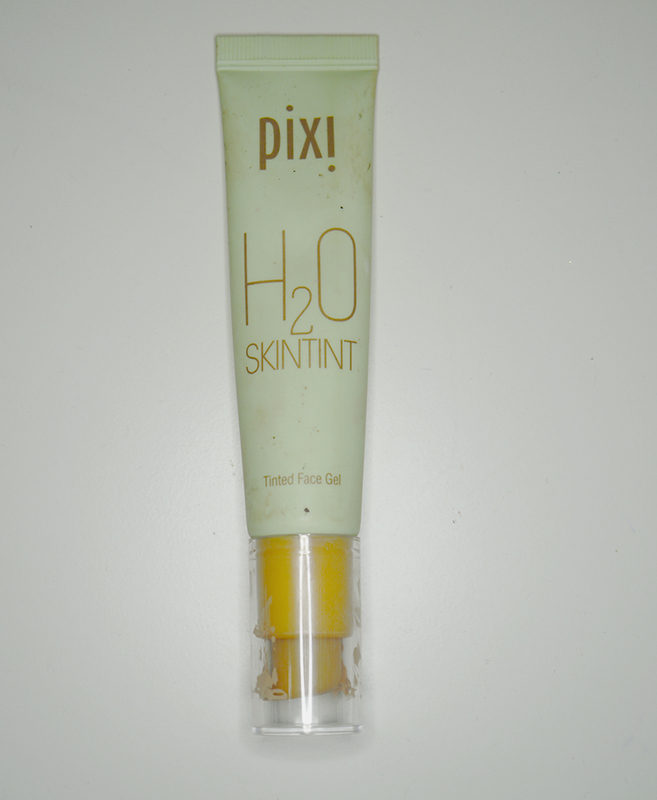 Layered with Pixi’s Flawless Beauty Primer you can get the most incredible golden sheen to your skin. If you’re a fan of the texture, they do a hydrating gel to water moisturiser called H2o Skin Drink which is a great alternative to a cream moisturiser. 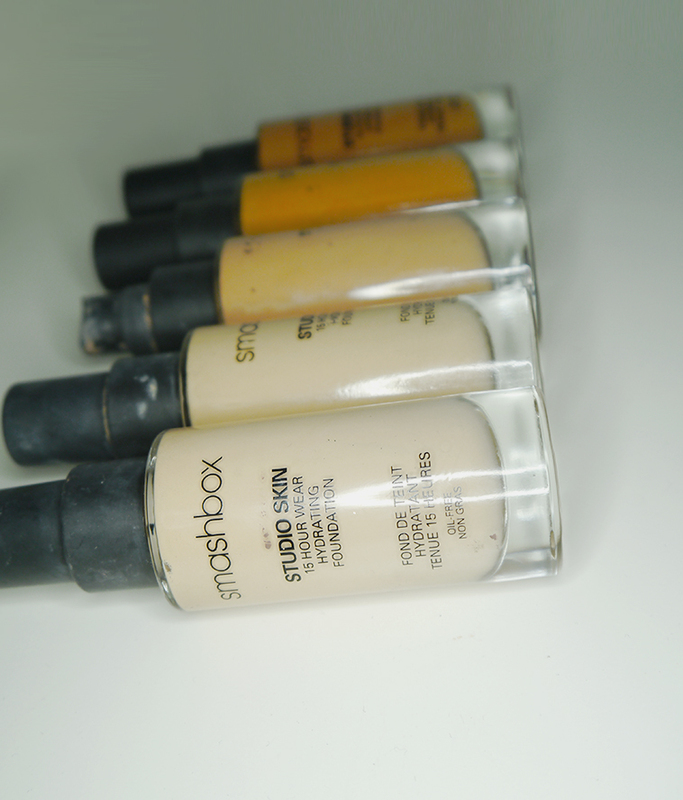 Foundation name: Smashbox Studio Skin 15 hour. The. Best. Foundation ever. I have gotten so many people onto this foundation and they’ve thoroughly enjoyed it. Plus it’s Vegan friendly! Aledgedly this is Estee Lauder Double Wear without oil, this foundation literally is transfer proof, waterproof, and is buildable to up to a full coverage. I’ve got them in my professional kit because they work for every skin. With dryer skin I suggest teaming up with their Hydrating Primer and a dewy setting must or spray because it does dry matte, especially with more than one layer it may sit on dryer areas. 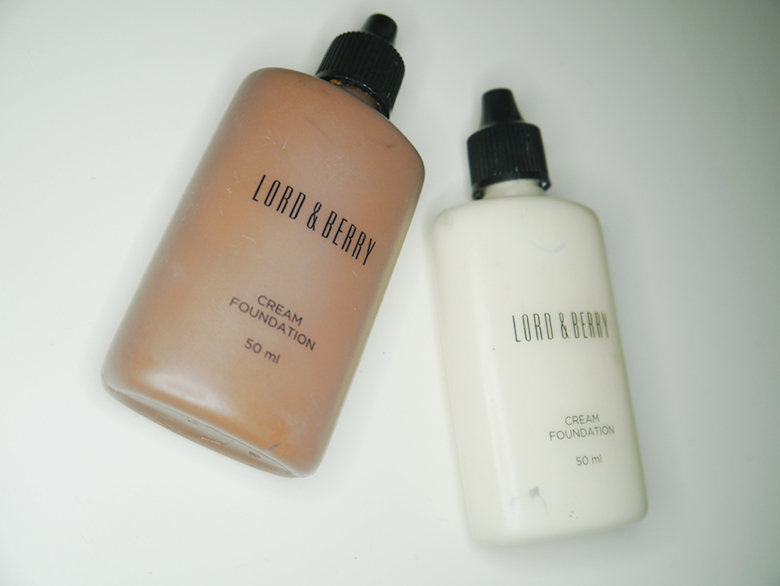 Foundation name: Lord and Berry Cream Foundation. This cream foundation is super blendable and sits perfectly and effortlessly on the skin. For me this is a great foundation to show the skins texture and leaves a breathable layer of even skintone on the skin. It can feel a little thick but a little goes a long way and for me, this works better with a damp brush or beauty blender. I like to use these more as cream pigments for other foundations to add depth and tone, however on its own they are a great stand alone foundation for even coverage without a thick layer of foundation. Containing Argan oil and Phytosqualano nutrient oil this rich blend treats dryer areas of the skin but balances out combination and oily areas leaving the skin shine free for hours. For me I felt like I didn’t really need a setting powder with this foundation as it was pleasant to wear on it’s own, but of course it can have powder applied on top to set and absorb even more oil. For even more of an added bonus, it contains Hyaluronic acid which attracts moisture to the skin and UVA and UVB protection and even has ingredients to filter out pollution from the air going into your skin. Longwear, professional looking coverage without the price tag. My. All. Time. Favourite. Foundation. I will talk about this foundation till I am ready to go into the grave. Every time I wear it, I get compliments on my skin, the radiance, the texture, the finish, the coverage, you name it, someone mentions it. Hefty price tag, but you do get a lot of bang for your buck, hear me out. This foundation has been crafted (crafted, not created, crafted) with a blend of colour correcting pigments and a blend of powders to create the ultimate finish. Completely long wear, budge proof and creates a silky smooth canvas for your skin and makeup to sit on. Non drying and definitely hydrating. The first couple of times you wear it it can feel a little wet but it sinks into the skin quicker with each use. Again with this foundation, best applied with a damp sponge / beauty blender or brush in a buffing motion rather than a standard foundation brush, it just effortlessly sweeps across the skin. Containing SPF 20, it protects your skin all day, has 16 hour wear, contains silica to absorb oil and is water based, which means it sits comfortably on the skin and balances oil and hydration throughout the day, Geraniol which comes from rose extracts, mostly for fragrance but could often be used for evening out the complexion further, and a bunch of long named ingredients which basically translate to skin conditioners and smoothers. It’s just a lovely long wear special foundation. If your skin is looking particularly good or you fancy a nice foundation for an occasion, this is it. It’s one of those foundations that unless you tried you’d understand. A few of my friends have also gone on to purchase this from noticing when I wear it and have fallen in love with it too. If you’re around any counters that have these, definitely give them a go. Depending on my skin and the occasion, these are my instant go to foundations! 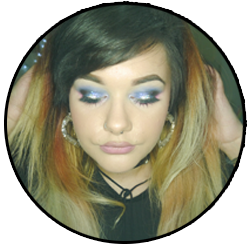 Posted on June 27, 2017 June 28, 2017 by sindyydollPosted in Guerlain, L'oreal, Lord And Berry, NYX, Pixi Beauty, Ride or die, SmashboxTagged bblogger, cruelty free makeup, cruelty free makeup review, foundation review, guerlain review, Guerlain Tenue De Perfection Foundation review, lord and berry cream foundation review, lord and berry review, loreal infallible total cover foundation review, pixi h2o skin tint review, pixi h2o skintint review, ride or die foundations, smashbox studio skin 15 hour foundation review, studio skin review, welsh beauty blogger, welsh blog, welsh blogger.